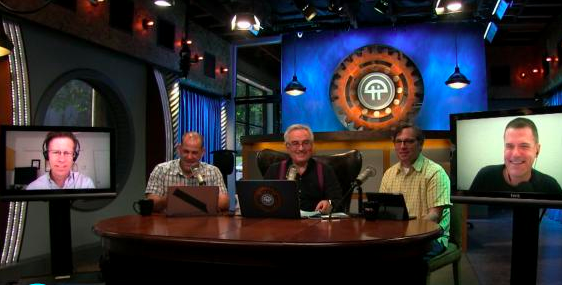 I was on This Week in Tech — also known as TWiT — this past weekend, along with Harry McCracken, Patrick Norton, and Merlin Mann, plus host Leo LaPorte. It’s a two-hour live show, but the time went by fast: Leo keeps things moving along and everybody had something interesting to say about the week’s biggest tech news stories. Merlin and I joined via Skype, and they put our heads on big monitors on either side of the in-studio guests, so we were sort of virtually at the table. It felt a little strange at first but it worked. Plus, I got to talk about that time Neil deGrasse Tyson yelled at me. You can watch the show, get related story links, and download the audio-only podcast version on the TWiT website.